Alexander Suleiman studied with Eldar Issakadze, Daniil Shafran and Natalia Gutman. Suleiman is one of the most interesting and individual musicians of his generation. He has played with well-known orchestras throughout the world, where he has a reputation as an unusual and original interpreter. 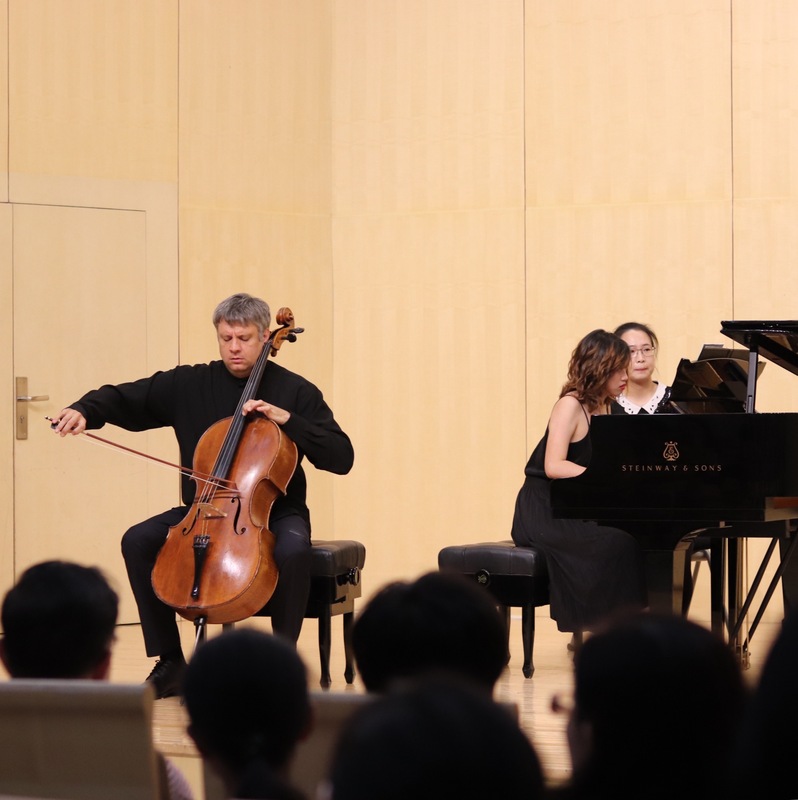 But in addition to these performances, he is also strongly motivated by cultural and political interests and is a committed ambassador of European musical culture to the Arab world, Jordan and Israel as well as Russia, the Caucasian countries, Asia, Africa and South America. His passion for contemporary music and his comprehensive mastery of the complete repertoire before 1900 have turned him into an artistic person who avoids well-trodden paths. He frequently performs cello concertos by leading composers of our time, such as Franz Hummel, Erik Sven Tueuer, Vaza Azarshvili, and Petris Vasks, many of which have dedicated works to him and many of which have been released as world premiere recordings on CD. His brilliant improvisational skills have long been admired, especially by his fellow musicians.